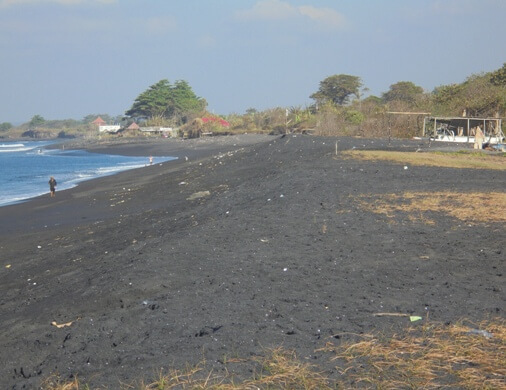 Pantai Jumpai Bali (Jumpai Beach) - Sparkling Grayish Black Sand and Lovely Ocean View! 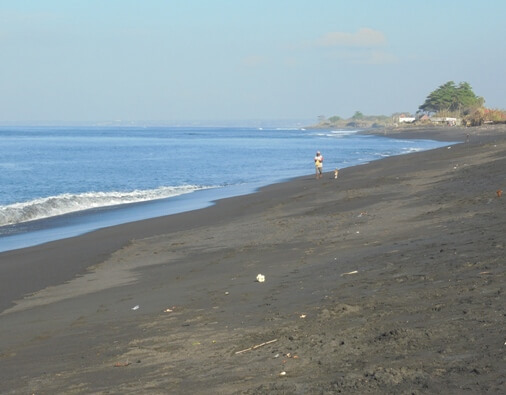 Jumpai Beach is a long arch of grayish black sand, beautiful, pristine and still untouched. This is a hidden gem with tranquil surroundings, green rice fields, and breathtaking view across the blue water up to the island of Nusa Penida. This lovely beach is situated in Jumpai Village, Klungkung District, Klungkung Regency, Bali. The spot is easily accessible by car. From the Ngurah Rai International Airport about one hour drive (42 kilometers) via the Jl. Prof. Dr. Ida Bagus Mantra. The coast is on the southern side and just few minutes from the main road. The sources mention that the word "Jumpai" comes from "Jung Pait", which means Tanjung Pahit. Pahit is related to Majapahit Kingdom. This is a coastal village area with beautiful nature and lush rice fields around it. Most of its citizens work as wetland farmers and fishermen. Some wooden boats are spotted on the sparkling sand. Here the rhythm of life feels slower with more relaxed atmosphere. This beach has nice waves and is suitable for surfing. Jumpai Surfing Club is an event initiated by local youth (Sekehe Teruna) to attract local and international surfers. This beach does have a good potential for tourism development. The village is also known as a seaweed processing center and there is a processing plant near the beach. The factory is processing seaweed for export to China. Its supply of seaweed is taken from Nusa Penida Island. Visitors can enjoy the blue ocean view, cool sea breeze and great sunset. This is also a good place for surf fishing. 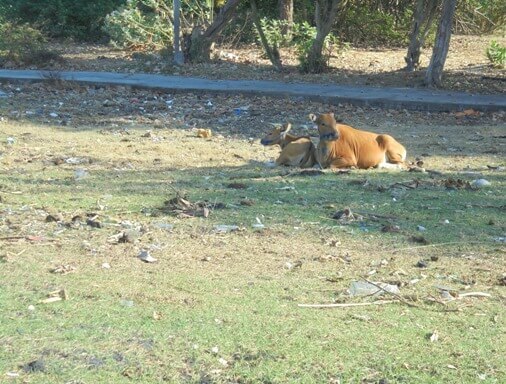 You may encounter some animals like stray dog and cattle roaming along the coast. The waves here are big and strong, not recommended for soaking or swimming. This beach needs more care so that visitors can feel comfortable. 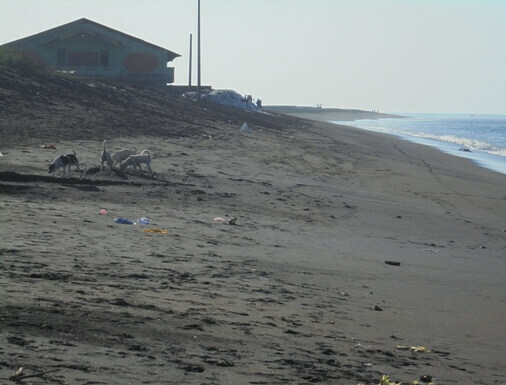 There are no food-stalls or warung on the beach to buy water. Also, the spot has minimal shade and so hot during the day. It would be better if you visit in the morning or afternoon when the air is still cool.